The owners of Domaine de Chevalier, the Bernard family, have a long history dating all the way back to the 1155! However, what we know of as Domaine de Chevalier dates back to the late 1600’s. The property starts earning fame after it was purchased in 1865 by Arnaud Ricard for 33,000 Francs. At the time, the Ricard family were familiar with the Bordeaux wine trade, as they worked as coopers, producing wine barrels. In those days, the estate was selling their wine under the Gascon name of “Chivaley”. The name was changed from “Chivaley” to the French term “Chevalier”, which is how the winery eventually became known as Domaine de Chevalier. Claude Ricard started at Domaine de Chevalier in 1948 when he was only 21 years old. Under the direction of Claude Ricard, they added a drainage system in 1962, which was important because the sub-soil is prone to retaining water. When Domaine de Chevalier was purchased in 1983 by the Bernard family for 23 Million Francs, the estate had only 18 hectares of vines. Olivier Bernard who was only 23 years old at the time was placed in charge of the estate. Even at that young age, Olivier Bernard was already comfortable managing Domaine de Chevalier. Olivier Bernard’s first decision was to retain the same wine making team at Domaine de Chevalier. In 1985, they purchased additional plots from neighboring vineyards, which almost doubled the vineyard in size. They began a long term replanting program lasting from 1988 to 1995. Some of the work Olivier Bernard undertook to improve their vineyards was the removal of the trees bordering the vineyard that were the most susceptible to frost. Next, Olivier Bernard began a complete renovation entailing the construction of new wine making facilities to accommodate their increased production. He created the now modern, cylinder shaped, vat room, which became the architectural, focal point for the estate. Its cylindrical shape begins in the front of the cellar and extends throughout the building. It is modern, airy, spacious and beautiful. The facilities were updated and modernized again in 2014. In 2015 Domaine de Chevalier became the first major Bordeaux chateau to use Diam corks. In 2015, all of their white wine bottles were sealed with Diam corks. In 2016, their entire production of red wine bottles were produced using Diam corks. 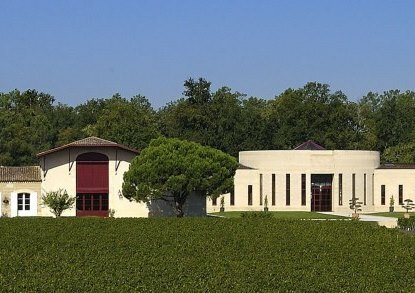 Domaine de Chevalier continues as a family owned and managed estate. Today, Olivier Bernard and Anne Bernard are joined by their two sons. Adrien Bernard helps with a focus on the commercial side of the business and Hugo Bernard, works on the winemaking end of the business. In time, it is expected that both sons will eventually take over managing all the family owned vineyards. The 120 hectare estate of Domaine de Chevalier has 65 hectares under vine. For the red wine, 58 hectares are planted to 63% Cabernet Sauvignon, 30% Merlot, 5% Petit Verdot, and 2% Cabernet Franc. This shows a change in the vineyard as you will see. During the 1980’s before Oliver Bernard took control of the property, the vineyard was planted to 80% Cabernet Sauvignon. For the white Bordeaux wine, 7 hectares are planted to 70% Sauvignon Blanc and 30% Semillon. The vineyard is planted to a vine density of 10,000 vines per hectare. On average, the vines are close to 30 years of age. The vineyard management techniques employed are sustainable farming methods. Today, over 30 hectares of vines are farmed using biodynamic farming techniques. The vineyard of Domaine de Chevalier is in one large block. The vineyard can be divided into 90 separate parcels. The best terroir of Domaine de Chevalier is located right in front of the chateau. This is where you find the oldest Cabernet Sauvignon vines, which are 50 years of of age. The vineyard of Domaine de Chevalier produces both red and white Bordeaux wine. The terroir is gravel, black sand over clay, gravel and hardpan soil, with gentle slopes and elevations, which rise up to 60 meters at their peak. At 60 meters on their plateau, Domaine de Chevalier has the highest peak elevation in the Pessac Leognan appellation. Just as vital as the soils, terroir, slopes and elevations is another important part of their terroir is the trees and forest land surrounding the vineyards on three sides. The forest enhances the temperature extremes while also increasing the risk of frost. To combat potential, frost damage, it was the idea of Olivier Bernard to use wind machines and even helicopters in select vintages. This works because the helicopter and wind machine blades stir and blend the lower layers of cold air with warmer air, which helps avoid damage from frost. When you consider that damage from frost in previous vintages like 1982, reduced their yields to a scant 9 hectoliters per hectare, it’s easy to see why this was such a strategic decision. At harvest, the estate takes a unique approach. Since sorting is done exclusively in the vineyard, the picking is done in passes, particularly for the white wine grapes. At times, because sorting takes place in the vineyard, the grapes are picked one at a time. To produce the white Bordeaux wine of Domaine de Chevalier, after a light pressing, the juice is run off into barrel. Vinification takes place in 30% new, French oak barrels. Once filled, the barrels are placed in a special cold room (the only other one in Bordeaux is at Chateau Margaux) to bring the barrel temperature gradually down to 18 to 20 degrees Celsius. This helps the fermentation take place on a gradual basis. There is no malolactic fermentation or skin contact. The initial racking is done in barrel. The wine remains on its lees in barrel with regularly stirring for an average of 12 months. The wine spends an additional 6 months in barrel or in vat, without the lees before bottling. To produce the red wine of Domaine de Chevalier, vinification takes place a combination of 9, 80 hectoliter oak vats and 12 conical, shaped, stainless steel vats that range in size from 50 to 100 hectoliters and cement tanks. The old vines are vinified in the oak barrels. In 2014, Domaine de Chevalier added 8 new, 80 hectoliter, egg shaped, cement vats for the vinification of the red wine, which are used for their old vine fruit. There are now ample vats to allow for a parcel by parcel vinification. 100% of the Grand Vin undergoes malolactic fermentation in new 100% French oak barrels. The remainder of the harvest goes through malolactic fermentation in wood or stainless steel tank. The red wine of Domaine de Chevalier is aged on its lees in 40-60% new, French oak barrels for 18 to 22 months. The amount of new oak varies quite a bit here, depending on the character of each vintage. There is a second wine, now called, L’Esprit de Chevalier. Prior to its renaming, it was sold as Batard Chevalier. There is also a third wine, Pessac Leognan, which is more of a generic AOC wine, as the grapes come from a variety of family owned, vineyard sources. On average, Domaine de Chevalier produces 6,500 cases of red Bordeaux. For the white Bordeaux wine of Domaine de Chevalier, the production is close to 1,000 cases per year. The best vintages of Domaine de Chevalier Rouge are: 2018, 2017, 2016, 2015, 2014, 2012, 2010, 2009, 2008, 2005, 2000, 1998, 1990, 1989, 1983, 1978, 1961, 1959 and 1953. As you can see, the best vintages for Domaine de Chevalier red and white wine are not always the same. The best vintages of Domaine de Chevalier Blanc are: 2018, 2017, 2016, 2015, 2014, 2013, 2012, 2011, 2010, 2009, 2008, 2007, 2006, 2005, 2001, 2000, 1995 and 1994. Keep in mind, Domaine de Chevalier Blanc is one of the longest lived wines in all of Bordeaux. There are numerous older, great vintages of this wine from the 1950’s, 1940’s and possibly even older that can be enjoyed with great pleasure today. Domaine de Chevalier needs at least 8-12 in good vintages until it is ready to be enjoyed. Young vintages can be decanted for 2-3 hours, or more. This allows the wine to soften and open its perfume. Older vintages might need very little decanting, just enough to remove the sediment. Domaine de Chevalier offers its best drinking and should reach peak maturity between 10-30 years of age after the vintage. Domaine de Chevalier is best served at 15.5 degrees Celsius, 60 degrees Fahrenheit. The cool, almost cellar temperature gives the wine more freshness and lift. Domaine de Chevalier Rouge is best served with all types of classic meat dishes, veal, pork, beef, lamb, duck, game, roast chicken, roasted, braised and grilled dishes. Domaine de Chevalier Rouge is also good with Asian dishes, hearty fish courses like tuna, mushrooms and pasta. Domaine de Chevalier Blanc is a perfect wine to serve with all types of seafood, fish, shellfish, crab, lobster, chicken, veal, port and of course cheese. In 1993, Olivier Bernard entered into a management agreement with Pessac Leognan estate of Domaine de la Solitude. 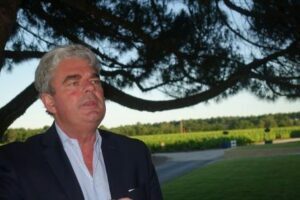 In 2009, Olivier Bernard added to his already busy schedule when he entered into a second leasing agreement to produce and market the wines of Chateau Lespault-Martillac, also located in the Pessac Leognan appellation. The Bernard family also maintains interests in the Sauternes appellation. Olivier Bernard is a partner in Chateau Guiraud. In 2012, Olivier Bernard added to their holdings in Sauternes with the purchase of Chateau Haut Caplane. They quickly renamed the estate, Clos des Lunes. Clos des Lunes will focus on making dry white Bordeaux wine, as well as sweet, white Bordeaux wine. However, it is expected that Olivier Bernard and his team will focus more on the production of dry white Bordeaux wine at Clos des Lunes. Floral notes begin the experience, leading to the discovery of crushed stone and a generous offering of citrus. On the palate, this wine is fertile, fat and full of life and the finish is virtually unending with a mélange of pulpy citrus and bracing acidity. Made from a blend of 65% Sauvignon Blanc and 35% Semillon, the wine reached 13% alcohol. The high percentage of Semillon is due to the frost. Smoke, incense, blackberry, dark cherry and a slight hint of fig in the background create an aromatic profile. This wine shows ripe fruits, sweetness, freshness and gentle tannins. In a perfect scenario the finish would be longer but this is truly a very fine wine that will shine with just a few years in the cellar. Made from a blend of 75% Cabernet Sauvignon, 20% Merlot and 5% Petit Verdot, the wine reached 13.5% alcohol. The higher than usual percentage of Cabernet in the blend is due to damage from the frost. Clearly in competition for the best vintage yet, for the red wine of Domaine de Chevalier, this is a beauty! It is hard to decide if it is the silky, elegant, caressing textures, the freshness and purity in the fruit or all that smoky fruit in the finish that is the high point. Fans of Domaine de Chevalier need to try this for themselves. It is a stunner that will age for decades, and it still sells for a song. Refined, elegant, fresh, silky and pure, this is a stunner. The wine, with its layers of tobacco-tinged dark, red berries, freshness and silky tannins is a strong contender for the best vintage of Domaine de Chevalier ever produced. Silky tannins, sweet, ripe, elegant, polished, and refined, this is a top vintage for Domaine de Chevalier. The tobacco, dark, red berries and spice are really shining this year. The wine has that elusive quality of freshness, length, purity and character. This will age quite nicely for decades. The wine was produced from a blend of 65% Cabernet Sauvignon, 30% Merlot and 5% Petit Verdot. The fruit was picked from October 4 to October 21. Blending 75% Sauvignon Blanc and 25% Semillon produced a richly textured, fat, sweet, lush, ripe wine with a mineral and yellow citrus driven character that is on display in the finish. Clearly a contender for the top white Bordeaux wine, aside from you know who... The wine offers a crisp entry loaded with just squeezed lemon, pomelo, crushed rocks, lime and floral notes. Fresh and refreshing, concentrated and with racy acidity giving it lift, the honey and vanilla accents add just right amount of fatness to the wine. This is a beauty! The perfect blend of crushed rocks, assorted, fresh squeezed, yellow citrus fruits, a dab of honey and floral notes. Bright, crisp and refreshing, this wine has the uncanny ability to offer pleasure young, yet, age for decades. I've had enough of these wines at old age lately to know first hand, how well they can age and improve for decades. Bright and lively with an open, grapefruit, lemon zest, green apple and honeysuckle character, this wine is fresh, refreshing and long with a crisp, sweet, citrus-filled finish. This beautiful wine is elegant, fresh, refined and shows the vibrancy in the earthy, red berries with ease. The tannins are silky. The nose, with its smoke, pipe tobacco and earthy accents on top of the deep red fruits makes its presence known with ease. This is a contender for one of the best wines ever produced here. A beauty, with all the smoky, cigar box, dark red fruits and spicy, earthy charm you need. Elegant, refined and classy, this is a contender for the top red wine ever from Domaine de Chevalier, although 2016 is going to give it a run for the money. WOW! Now we're talking. This attention seeking wine grabs you with all its crisp, fresh, polished, yellow citrus, flowers, lime and honeydew fruits. The blazing acidity cuts perfectly, leaving with a sensation of crushed rocks, lemon peel and grapefruit, that could not be any fresher. Elegance and purity is the best way to describe this young, fresh, vibrant, smoke filled wine. The refined, finish, lingers and feels great, with all its juicy, sweet, pure, black cherries. Even though it's still baby, the wine easily serves up all the fresh, crisp, pomelo, citrus, grapefruit, lemon peel, rocks, stones and honeysuckle you require. Richly textured, with a true purity of fruit and freshness galore, the wine leaves you with ripe, vibrant, crisp fruits that linger and refresh. As you can see this drinks well young and yet, it will also have the ability to age and evolve for decades. Showing better in the bottle than it did during the barrel tastings, the wine delivers a fresh, vibrant, citrus, grapefruit, lemon grass and stone aromatic profile. Richly textured, the wine has purity of fruit and freshness galore. This should drink well young and have the ability to age and evolve for decades. Elegant, medium bodied, forward style of Domaine de Chevalier, with sweet, fresh, bright cherries, spice, cassis and hints of tobacco to round things out. The blend of 85% Cabernet Sauvignon and 15% Merlot, coupled with severe selection are a large part of what helped this wine become so successful in this difficult vintage. Vibrant, refreshing and lively, the citrus, honeysuckle, lemon peel, green apple and crushed stone qualities are just starting to go on full display. Loads of energy are found in every sniff and sip. And this is only just starting to enter its journey. Based on previous vintages, this should age for decades. Blending 70% Sauvignon Blanc and 30% Semillon produced an exciting wine with lift, energy and freshness that really lets you experience the ripe, grapefruit, lemon zest, honeydew, marmalade, floral and mineral elements present in the wine. The finish feels great with the right balance of ripe fruits and acidity. Medium bodied, with a complex nose of chocolate mint, black cherry, earth and smoke. The finesse styled wine is sweet, ripe, elegant and fresh. Very classy in style, with fresh lemon, grapefruit, stone, vanilla, white peach and floral notes. Soft, polished, bright, fresh and clean, the mineral driven, crisp, sweet, citrus finish really carries through. The wine was made from a blend 85% Sauvignon Blanc and 15% Semillon. The nose, with its smoke, truffle, tobacco, blackberry, espresso roast and earthy complexities is right out front. Medium bodied, with fresh, plum and cherries in the end note, this soft wine is already easy to drink. This wine pops with an exotic array of scents, spices, mint, smoke, earth, and ripe berries. Silky, soft and polished, the wine ends with a long, polished, refined display of kirsch and black raspberries. From a blend of 63% Cabernet Sauvignon, 30% Merlot and 7% Petit Verdot, this has the structure to age and develop into something special for decades. Fresh lemon, green apple, grapefruit, floral, spice and tropical fruit aromas combine with fleshy textures, concentration of flavor and minerality ending with a long, creamy, exotic sensation filled with ripe, fleshy, layers of citrus fruits. Cherry pipe tobacco, smoke, licorice and plum notes create the perfume. In the mouth, the wine is rich, plush and round with a chocolate covered, fresh blackberry finish. Light in color, the wine is bright, fresh, zippy and crisp. The yellow citrus, with its honeysuckle accent carries through the mineralistic leaning found here. You can enjoy this now, or age for at least 20 more years, if you have the patience. Like nosing a bouquet of honeysuckle. The yellow honey and floral elements are equally strong, and attractive. Lemon peel, honeydew melon, stones, vanilla and grapefruit round off the perfume. Fresh, energetic and mineral driven, the wine is full bodied, rich, long and refreshing. This should age for decades, yet you can easily enjoy it today. Medium bodied, elegant and fresh, the wine is all about its refined, classy style. The smoky red fruits offer purity, restraint and a smoky, tobacco tinted note. The tannins are soft. The finish offers freshness and more of that elusive, cigar wrapper and red fruit charm. Drink this now, or over the next 15-20 years. It took close to 3 hours of air before the wine softened and filled out. Elegant, in a classic way, the smoky, earth, blackberry, cassis and tobacco nose got better and better. Give this at least another 5 or more years. 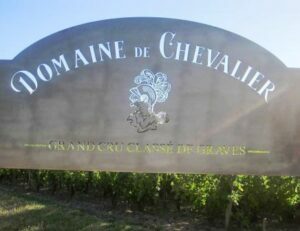 Domaine de Chevalier shows classic Graves character with its smoke, tobacco, earth and cassis personality. Over the last few years, the wines seem to be produced with slightly more concentration. 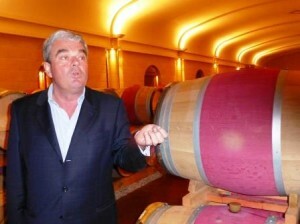 Stephane Derenoncourt has been working with Olivier Bernard with the red wines for a few years. This addition of richness adds a lot to the quality of this elegant Pessac Leognan wine. Really starting to shine, the lemon peel, grapefruit, stone and floral characteristics are easy to find. Fresh, sweet, and vibrant, the wine combines richness with energy, fresh citrus and minerality in the finish. This wine exploded from the glass! You read that correctly. The fragrance jumped out of the glass faster than the Alien went after Sigourney Weaver. The perfume explosion filled the room with exotic scents of lemon lime, grapefruit, spice, honey, flowers and guava. Full bodied, concentrated, rich and intense. Great acidity that keeps the wine fresh. The finish seems endless. This is one of the finest white Bordeaux wines I have ever tasted. I could not stop talking about this riveting wine all night. Time has been good to this wine. The fresh, red berries, tobacco, cigar box and earth are really shining. Soft, medium bodied and with all its tannins resolved, now is a great time to be enjoying this wine. Showing just a hint of color for its age, the wine offers its honeysuckle, white peach, vanilla and grapefruit rind. The best of both worlds, combining all the sweetness of ripe, juicy, citrus fruits and freshness from zippy acidity, this is just now coming around. The slightly honeyed lemon, lime finish really sings today, and it's just getting started. With the help of consultant Stephane Derenoncourt, this wine was produced in a lush style for the vintage. Lots of ripe black fruit, cassis, smoke and chocolate in the nose. Full bodied with a long, soft, dark berry finish. This was produced from a blend of 65% Cabernet Sauvignon, 30% Merlot, 2.5% Petit Verdot, and 2.5% Cabernet Franc. This sublime wine continues improving with age. The nose, with its mineralistic, fresh, crisp citrus and honeysuckle notes pairs perfectly with the full, rich, lush, sweet, ripe, crisp, fresh, lemon and pomello fruits on the palate. This is good now, but it’s going to get better and better with more age. Super nice wine. The sweet, honeysuckle, citrus and red grapefruit nose gets you going. With , 60 minutes of air, the wine softens, leaving you with elegant, fresh, citrus and stone notes. Still young, this has serious aging potential. The wine opens with with its showy display of honeysuckle, citrus rind, minerality and Meyer lemon aromatics. Rich and concentrated, with lush ripe fruit blended with refreshing acidity. This is a strong example of white Bordeaux that can be enjoyed today, or aged as it's only going to get better over the next decade. Even though this clearly needs more time, with coaxing, earth and dark red berries with smoky cigar box aromatics come out from hiding. Polished, medium bodied, elegant, refined, fresh and still youthful, give this another 5 or more years before you pop a bottle. From an assemblage of 65% Cabernet Sauvignon, 30% Merlot with a blend of Cabernet Franc and Petit Verdot making up the remainder of this Pessac Leognan wine, the perfume offers beguiling aromas of smoke, blackberry, black cherry, truffle, tobacco and crushed stone. With elegant textures, round tannins and a refined, personality, this Bordeaux wine is developing perfectly. The soft, silky finish ends with spicy, pure red and black fruits. Give it another 5-7 years in the bottle. A beautiful wine, packed with pure, sweet, fresh citrus notes, flowers, honey, vanilla and mineral notes. Concentrated, long, fresh and refreshing, this is a great wine to lay down, or drink now. Soft, stony and packed with ripe honeydew melons, lemon peel, lime, vanilla and grapefruit, there is a lot of freshness and lift here. Open it now, or save it for 5-10 years. This is all about elegance and finesse. The tannins are soft and refined. The fruit is ripe, but delicate. The nose is complex with its smoky, tobacco, earthy red berry qualities. This is drinking great today. The wine was made from a blend of 65% Cabernet Sauvignon, 32% Merlot, 1.5% Petit Verdot and 1.5% Cabernet Franc. With its tarry, black fruit and tobacco nose, this wine is starting to open. Not as complex or deep as the 05 or 06, but it will not require further aging to start delivering pleasure either. Lemon, lime, vanilla, stone and spearmint aromas created the delightful perfume. The wine is fat, round, soft and lush and could use a bit more freshness in the open, expressive, lemon wax finish. Like many 2003 Pessac Leognan wines, this is maturing at a rapid pace. With a nose of sweet lemons, lime, honey suckle and stone, the finish is filled with lush, polished citrus and orange sensations. Unlike many vintages of Domaine de Chevalier blanc, this is not a wine that is going to make old bones. More interesting with its perfumed scents of tobacco, earth, cigar box, dark cherry and spicy nose than on the medium bodied, refined, soft, dark cherry filled palate. There is no sensation of jam or over ripeness in the wines character. This is probably close to fully mature as its already delivering most of its charm. With freshness galore, the sweet, juicy lemon, grapefruit and green apples stand out on the nose, and on the refreshing, crisp, mineral driven finish. With coaxing, lemon, spring flowers, wax, honey and vanilla scents became evident. Medium/full bodied with elegant, refined textures, the wine ends with a sweet, fresh, vanilla, citrus filled finish. Rapidly maturing, this medium bodied wine of finesse offers a soft, tobacco, earth, smoke, truffle, black raspberry filled wine that requires consumption over the next decade or a little sooner. Complex aromatics are filled with smoke, cassis, burning wood, truffle, tobacco, black and red plums and forest floor scents. On the palate, the wine is medium bodied with soft textures, ending with a fresh, creme de cassis and spice filled finish, this is close to entering maturity. I'd drink this over the next 10-12 years. Medium bodied, refined, fresh, energetic styled Bordeaux, blending tobacco, wet earth, cigar box, herbs and sweet, pure cherries. Elegant on the palate, with a freshness that comes through on the palate and in the spicy plum and earthy cherry finish. This is drinking on the right place today for maximum pleasure. Fully mature, the wine is medium bodied, elegant, soft, fresh and charming. The tobacco, smoke, cherry, earth and cigar box aromatics are right where it needs to be. Feminine, with more on the nose than on the discreet palate, this is ready for consumption. Fully mature, the wine is light in color, medium bodied and elegant on the palate. A little more interesting on the nose than the palate with its bright, red fruit, tobacco, smoke and cigar character. Smoke, earth, cassis, cedar wood, tobacco, ash and tar made up the interesting perfume. Medium bodied, this soft, charming, mature wine finishes with sweet, red and black fruits. Starting to take on a golden hue, with notes of spice, olives, herbs, nuts and citrus. The wine seems to be tiring, ending with, orange, lemon, nuts and pears in the finish. I'd opt for drinking this sooner than later as it's starting to drop its fruit. Light ruby in color, with bricking at the edges, the wine offers smoke, truffle, tobacco, cassis, earth, spice and cigar aromas. Medium bodied, elegant, soft and refined, this is fully mature and will not improve. I'd drink this over the next 5 years as I don't think it has the stuffing to age much past that point. Fully mature, but in the best of ways, the wine offers a sublime set of aromatics that make you believe you're in a high-end tobacco store, located in the middle of a forest. The cigars are lit and you're happy to be smoking one, while sipping on cherry juice that never had the dirt washed off. Finesse in style, with elegant, silky tannins and a softness on the palate, this is really great for current drinking. The nose, with its honeyed citrus, lemongrass and green apple shines. The wine is still bright, fresh, energetic and leaves you with a tinge of honey, vanilla and crispy, yellow fruit. A nice wine, with good freshness, clean citrus and stone flavors that taste much younger than its three decades of age. With a good depth of color, making this look much younger than its 30 years of age, the wine pops with spicy, citrus and honeysuckle notes. While its not the most complex wine, it's one of the few wines from this poor vintage that is still drinking well. Just starting to fade, you can see it in the color, and on the palate. But the complex nose is a beauty, with its plethora of cigar store aromatics, forest, floor, herbs, cherry and plum notes. Medium bodied, soft, and silky, the finish is a bit short, leaving you wanting it to last just a but longer. This is the debut vintage for Olivier and Anne Bernard. Looking years younger than its true age, the nose, with its crushed rock, citrus, orange, peach and vanilla scents gets your attention. Soft, lively and still fresh, this is drinking great today. Tasting years younger than its true age, the wine offered doses of slightly honeyed citrus, crushed rock, spice, honeydew and floral notes. Silky and fresh, sweet and energetic, this was really quite nice. Served double blind, it was even better to discover it was almost 40 years old! Served double blind, not one taster guessed this was 40 years of age. Olivier Bernard explained this was a good vintage for the white Bordeaux wine. With its youthful peersonality, fresh lemon, grapefruit, mineral and honey driven, plush, polished personality, I had to agree with him. Better on its nose with all the smoke, tobacco, thyme and earthyness, than on the light, red berry palate. The wine is elegant, soft and fully mature. From a magnum that had not been moved from the chateau since bottling, this was rocking! The smoke, tobacco, tar, truffle, earth, cigar box and wild strawberry filled perfume got you going. The silky, fresh, cherry filled finish took you the rest of the way. The perfect provenance had a lot to do with this wines stunning quality. Still, that being said, it's worth seeking out, if you're a fan of mature wines as it's not that expensive. Elegant and charming, the wine offers silky tannins, sweet, smoky, red fruits and refinement. Medium bodied, there is more complexity than weight and density. Fully mature, this is probably a wine to consider at auctions, if it has been well stored, as I bet it sells for a fair price, if you can find any. Kept alive with its high acidities, you can still find something to like about the smoky, bright, red fruits, leaf and tobacco personality. Medium bodied, the finish moves from crisp cherry to cranberry as if it was in a hurry. Drink up. With the color of ruby tea, the wine is light, elegant and smoky, with a melange of earthy scents and a sweet and tart, red berry finish. This requires drinking before the remaining fruit fades away. This fully mature wine offered smoke, tobacco, forest floor, cigar box,, spice, cassis and olive tapenade scents. Medium bodied, with elegant textures, this soft styled wine finished with light kirsch and cassis flavors. Pure elegance, this refined, smoky, earthy, spicy, fresh, soft, sweet wine was all about its delicate. ripe cherry, smoky personality. This tasted like it was from the 1960's. What a treat!